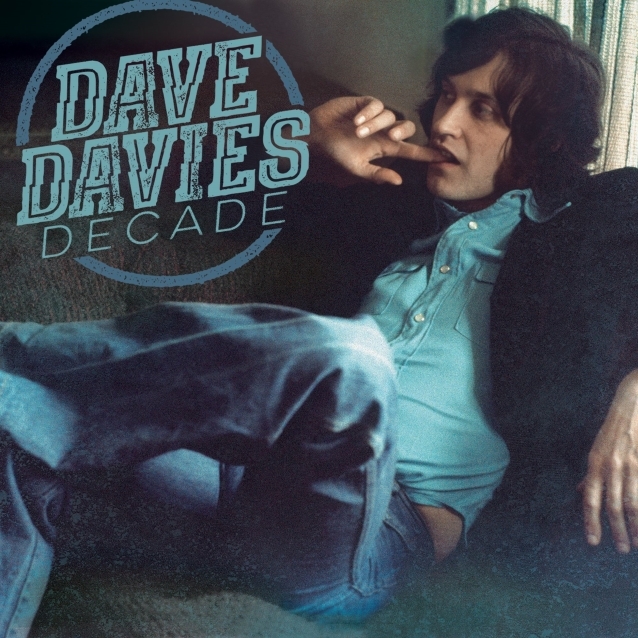 Dave Davies, founding member of THE KINKS, will release "Decade", a new collection of previously unreleased songs recorded in the 1970s. Davies has also shared another track from the record, "Same Old Blues". "Decade" will be released on October 12 via Red River Entertainment and Green Amp Records, and Davies will be on tour in early 2019. In what may be considered the sequel to 2011's "Hidden Treasures", which chronicled Davies's solo recordings from the 1960s, "Decade" pulls back the curtain on the legendary guitarist and songwriter's unreleased works spanning 1971 to 1979. Davies writes: "I am so pleased that after all this time these tracks are being released to see the light of day. These songs have been silently nagging at me to be recognized all these years. At last I can proudly present this album 'Decade' to the world. I do hope you all enjoy the music." Years prior to the issue of his first "proper" solo album, 1980's "AFL1-3603", Davies was working on the fascinating tracks that make up "Decade". The tapes were unearthed by his sons Simon and Martin from "under beds, in attics, in storage," and properly mixed and mastered in a way that lets these songs shimmer and shine even brighter than they did at inception. Any album recorded over the span of 10 years runs the risk of ending up wildly erratic in tone and style, and yet, Dave's "Decade" is surprisingly cohesive, the songs working together beautifully as songs on great albums do. The period 1973 to 1975 saw THE KINKS make the move into their own recording studio, Konk, which Davies took a major role in setting up and developing. "I'm always really into the sound, and the mixes, and gadgets..." writes Davies. "I was able to go in, and make what I thought were demos — these recordings." Listening to the contemporary, FM radio-friendly quality of these songs, it's hard to fathom that these solo tracks remained under wraps, particularly as these were born in the aftermath of clear Dave Davies triumphs such as "Strangers" and "You Don't Know My Name", change-of-pace songs that added considerable value to the early '70s KINKS albums they appeared on. But with brother Ray deep into the creation of a series of high-concept albums on which Dave's songs had no apparent place, these Dave Davies gems remained unissued on both the solo and band fronts. Davies explains: "We were busy, and we were touring, THE KINKS were very vibrant that whole period of time. It wasn't really until the end of the '70s that I started to really take my writing seriously. I should have done it anyway — because what's 'serious' and 'not serious'? Just get stuff out, you know?" In 1978, a song contemporaneous with these sessions, "Trust Your Heart", was chosen to appear on THE KINKS' "Misfits" album, and Davies became very active as a solo artist at last, with a series of well-regarded albums in the 1980s and beyond. 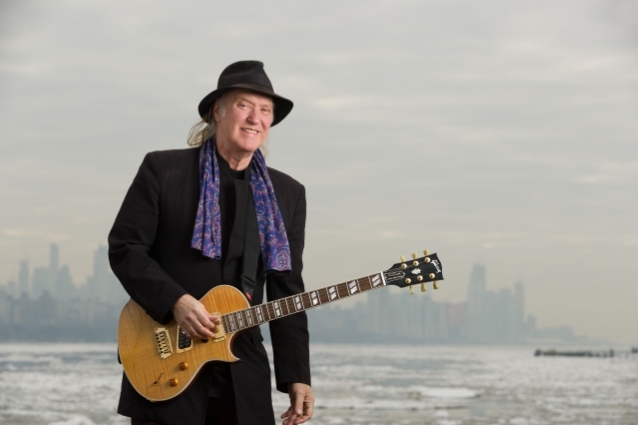 A long-time inductee of the Rock And Roll Hall Of Fame, Dave Davies helped shape the landscape of rock and pop music across generations. A seasoned yet spontaneous rock-n-roll visionary, Davies was named one of Rolling Stone magazine's 100 Greatest Guitarists of All Time. Dave has released several critical acclaimed albums on Red River Entertainment, including his most recent album, "Open Road", a collaborative project with his son Russ, which arrived in March 2017.